Want to sell pre-generated codes, phone cards, registration/serial/license keys, gift cards, discount coupons and vouchers ? You can use E-junkie for instant secured code delivery. You can sell codes using your own code generator or E-junkie's code generator. Click Submit to apply the new settings. The Code Generator URL you have specified for each product that uses the Send Generated Codes feature will receive an HTTP POST submission containing all of the order data, using the same data set we send for our custom/3rd-party Integration feature. The only difference is that we expect to receive output back from your script's URL for a keygen submission (whereas Integration submissions are just a one-way transmission without expecting any output in return), and of course we do not send a value for key to your keygen URL since it hasn't yet output a key back to us by that point. Whatever plaintext output your keygen script returns will be forwarded as-is to the buyer in the thank-you email we generate for the product. Typically this output should be only the code itself (HTTP headers are fine, as our system will parse them out). You could output a whole block of preformatted plaintext (e.g., echoing the buyer's full registration details in your system if required), but any "boilerplate" text common to all codes generated should probably be provided in the product's Email Message field rather than generated by your script -- not least to keep your transaction log tidy, as a copy of the raw code output for each order is saved there for your reference. 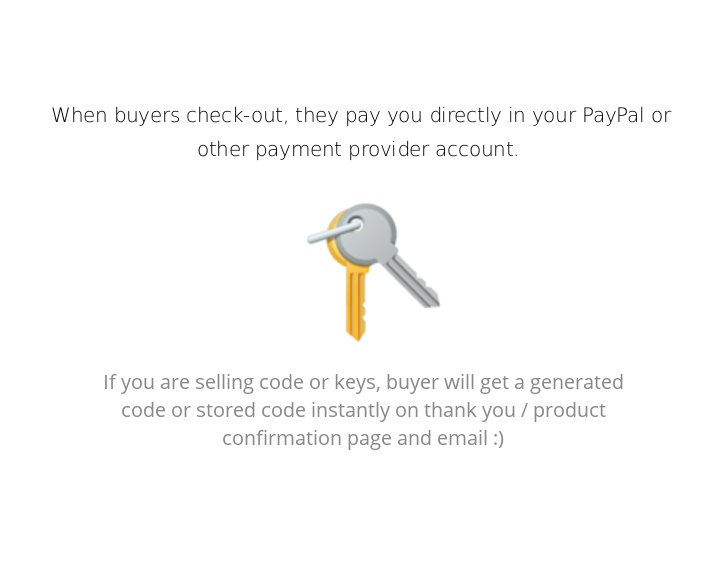 If you also want the buyer's code displayed on their E-junkie-generated Thank-you Page, be sure to put something in the Product Thank-you Page HTML field for that item, using the [%codes%] template tag wherever you want the buyer's code to be inserted (see our Thank-you Page customization help page for further details). E-junkie will POST all the order data to your keygen URL only for successful completed payments. Currently, if E-junkie server is unable to reach your server, it will not retry; in that case, we still finish processing the order without issuing a code to the buyer (instructions to contact the seller will be provided instead), and we email you a notification that your keygen URL failed to respond. 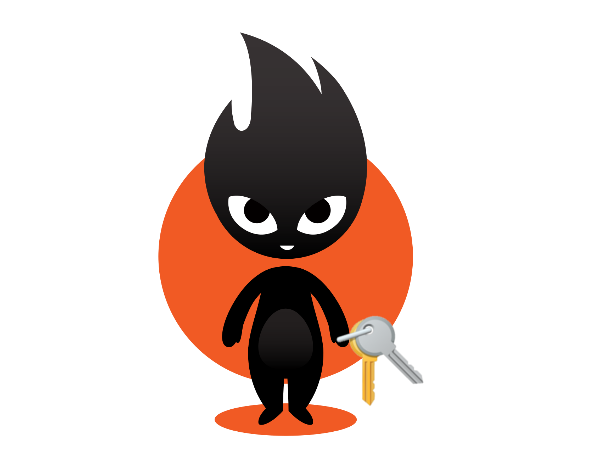 If you're issuing this as a key to unlock software, your code generation scheme will depend on the algorithm you are using in your software to verify the data. This could be a hash derived from elements like the buyer's name, email, transaction ID, etc., perhaps combined with a secret string known only to you, or something completely random which you store in your database so your software would check the entered code against your online DB. If your code generator does not generate text codes, but rather "binary key" files which need to be sent as an attachment, you should see the integration section in help. Our system will send the same variables to you without expecting an output. Your script can then generate the binary key file and email that to the buyer directly. If you want the buyer to input a code which your script requires to generate the registration code, see our Variations feature. Using E-junkie's Code generator or stored codes. While editing or adding product in E-junkie seller admin. Each product's list of Stored Codes can have up to 10,000 lines (codes) stored at a time. For whatever quantity the buyer orders, that number of lines will be removed from the list and emailed to the buyer. You can also customize your thank you page to display these codes to the buyer. When your list is down to the last 5 codes remaining, we send you a notification, so you can restock your list before it's depleted. If you prefer to be notified when some other quantity of codes remain, just add this on a line by itself anywhere in your product's list of codes: LOW_STOCK=100 (specify here what number of codes remaining should trigger the notification); when you view the list later, that line will always appear at the top and will never get issued as an actual code. Buyers would be unable to order a Send Stored Codes product if there are no codes remaining in the product's codes list. When you restock your list of codes, the new codes do not take effect until you click Submit to save changes, so buyers ordering before you click Submit would receive their code from whatever remained of the old list.